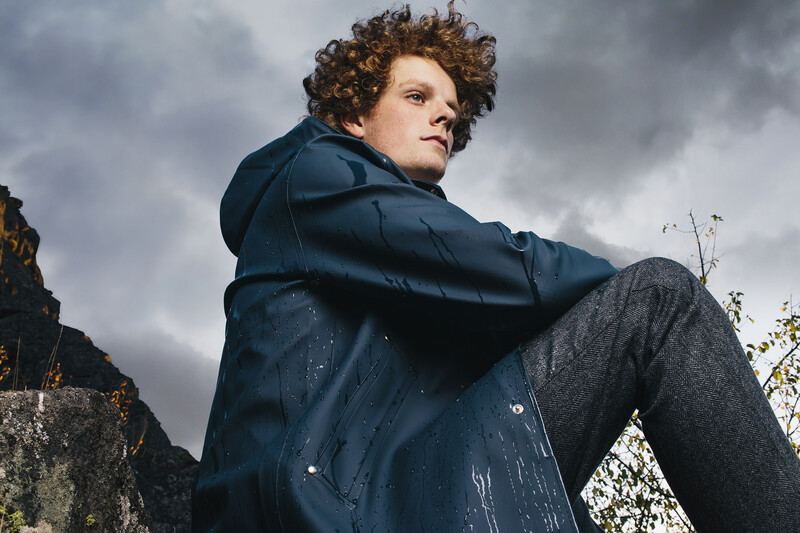 It began when Mr. Alexander Stutterheim discovered his grandfather’s rain jacket — the one he had worn when fishing off the island of Arholma in Stockholm’s archipelago. After finding such a coat of storied character but ill fit, Alexander sought to find its equal in the city — one that would shape to his tall, slender frame. But, unable to find a coat of its kind amongst the masses of performance outerwear, Alexander returned home. And in his apartment kitchen, he was struck with the idea to replicate the jacket for himself. To recreate its likeness in a more modern silhouette. 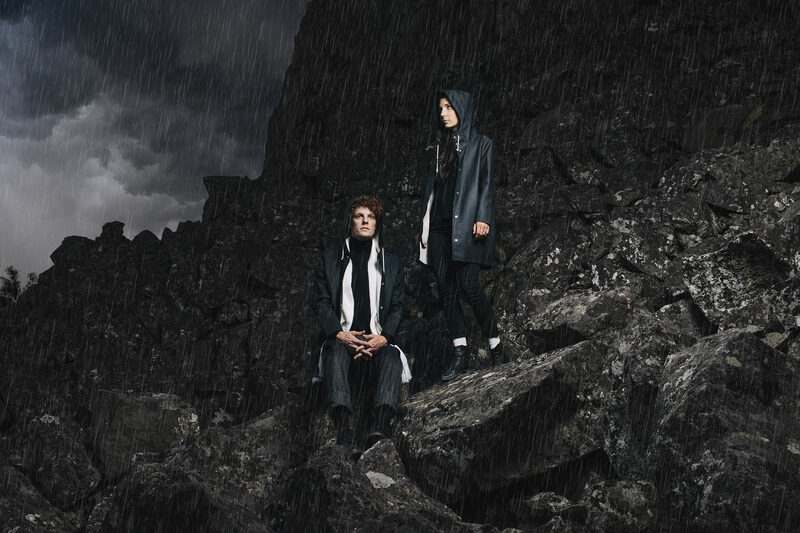 As a copywriter with no formal training in apparel construction, Mr. Stutterheim recruited local talent to begin a process that would later result in the centerpiece of the Stutterheim collection: the “Arholma”. 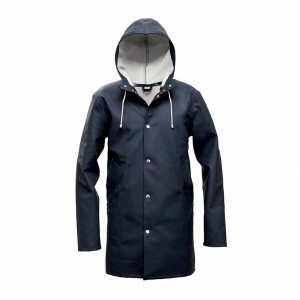 An immaculately designed rain coat that pays homage to his grandfather’s jacket, but updated with taped seams, high armholes, and a cut suitable for the modern urban commuter. Since the early years of selling jackets from his living room, Mr. Stutterheim has grown the namesake brand to cult status, practically obviating the need for his customers to own even one piece of unsightly, technical rain gear. Leave it to the Swedes to create an item with such quality, function, and design that it effectively surmounts all wet-weather alternatives. Behind the growth of its loyal following is a unique bond with the exact thing their product so thoroughly protects against: the rain. 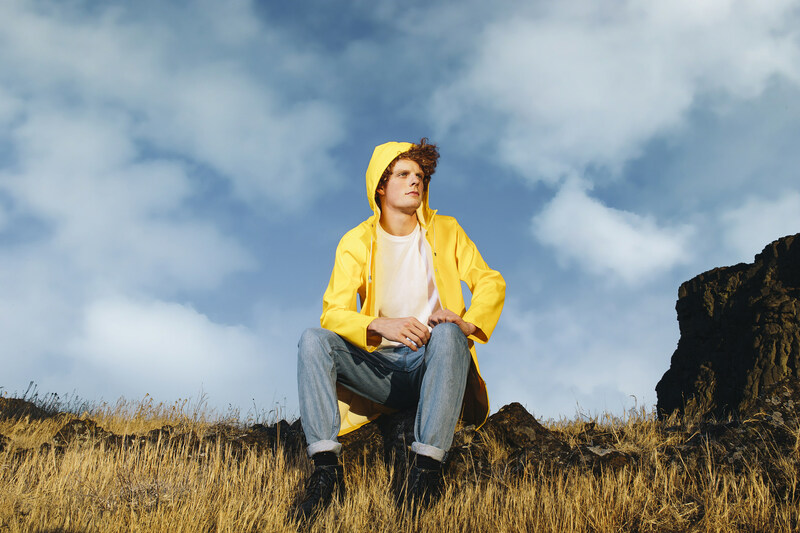 It is almost as if, when donning a Stutterheim jacket, one is fortified against the wet and cold and thereby enabled to enjoy its charms — at once embracing the melancholic soul of the elements while embattling them with a thick sheet of rubberized cotton. Having grown up in a climate that yields up to 8 months of rain every year, I’m convinced of this. And I’m not alone. This concept — that gloom compels profound artistic expression — is widely accepted as gospel. And rightly so. Many of the world’s greatest creators, especially those from Sweden, have referenced darkness as a deep well of inspiration. Stutterheim appears to be succeeding — so much so that they regularly receive images via social media in which customers have taken selfies in their jackets outside, captioning, “Look! 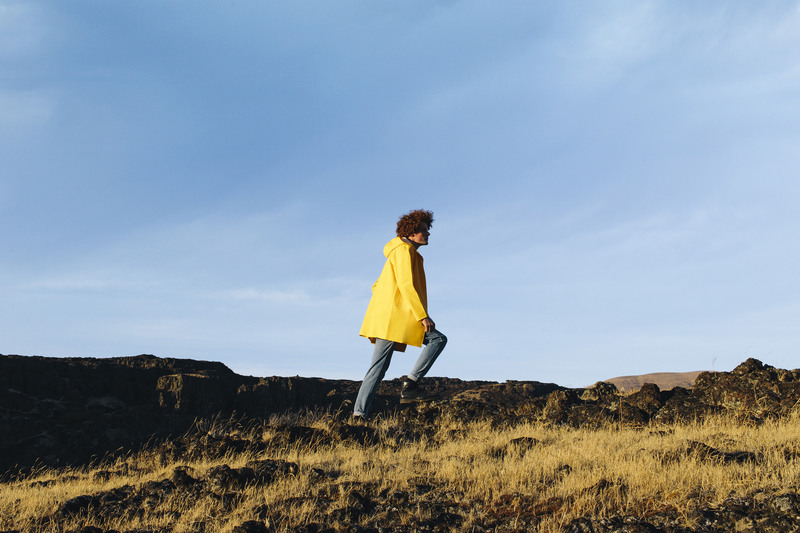 It’s Stutterheim weather!” And sales growth matches the emotional fervor — Stutterheim jackets are now sold in over 800 retail stores across the world. So with all of their success, I wondered: what’s next? Until their release later next year (slotted for F/W 2016), you’ll simply have to choose between the Arholma, Stockholm, and Skeppsbron. 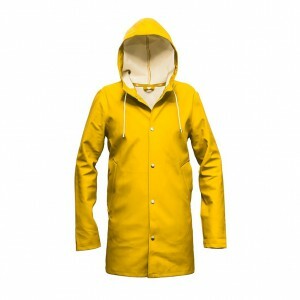 And that’s no concession — you’ll be hard pressed to find finer raincoats available on the market. So next time you need to brave the elements, don’t resign to gloom with your head down. Anticipate staying dry, looking good, and feeling wonderfully melancholic. Come to think of it, I may go for a walk. Looks like Stutterheim weather.